Before Dorje Shugden was widely practised in the Gelugpa tradition, he was enthroned as a Protector of the Sakya school of Tibetan Buddhism. If one was to examine the Sakya practice of Dorje Shugden, one would quickly realise that for more than three centuries, Dorje Shugden has been viewed as an Enlightened Protector. The evidence comes from none other than the Sakya throne holders themselves, who are the holders of the Sakya tradition’s most precious Tantric transmission – the Lamdre lineage. As stated by His Holiness Kyabje Trijang Rinpoche in his work “Music Delighting the Ocean of Protectors”, the Sakya reliance on Dorje Shugden began with the supreme Sakya throneholder, the 30th Sakya Trizin Sonam Rinchen (1705 – 1741), who enthroned and worshipped Dorje Shugden as a Dharma Protector, along with Setrap and Tsiu Marpo. 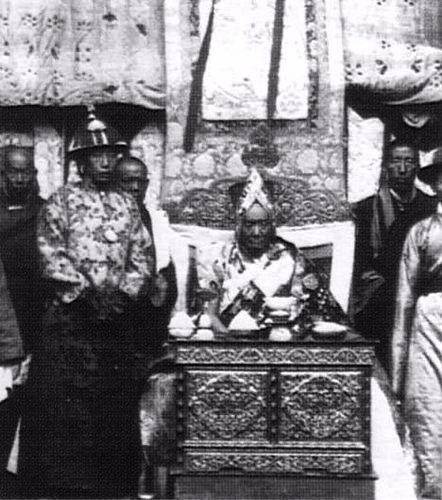 These three principle protectors were collectively known as the “Three Kings” (Gyalpo Sum). Another fine example of the Sakya reliance on Dorje Shugden was Morchen Dorje Chang, who wrote praises to Dorje Shugden as an enlightened being. In the Sakya tradition, there are two main houses (pho brang) from which a Sakya Trizin (Sakya Throneholder) may arise – Dolma Phodrang and Phuntsok Phodrang. Alternating between the two houses, when a Sakya Trizin enters clear light and his sons are still minors, a child of the previous Sakya Trizin will ascend the throne, thus allowing the young potential-throneholders to mature and receive training befitting a leader of the Sakya tradition. The Sakya lineage holders are considered to be emanations of Avalokiteshvara and Manjushri, and their family lineage is regarded as divine. Practices within the Sakya lineage are transmitted from father to the eldest son, ensuring purity, accuracy and the continuity of the lineage across generations. Similarly, the practice of Dorje Shugden has been passed down within the Sakya lineage for generations. For instance, the 30th Sakya Trizin Sonam Rinchen passed the practice of Dorje Shugden to his son, the 31st Sakya Trizin Kunga Lodro (1729 – 1783), who was believed to be an emanation of Dorje Shugden himself. During his lifetime, Kunga Lodro composed a Dorje Shugden kangso (fulfilment ritual) to invoke upon the blessings of Dorje Shugden. He also propitiated Dorje Shugden as a fully enlightened being and composed a praise to him. This prayer has since achieved prominence and is still widely used today. Thus, it is safe to conclude that modern-day practice of Dorje Shugden has its roots in the Sakya tradition. The Dharma Protector Dorje Shugden Tsel definitively is Avalokiteshvara. He further quoted from the Nyingma Tantra Rinchen Nadun to definitively establish his point by scripture. The one known as Dolgyal [Dorje Shugden] is not mistaken on the path to liberation, he is by nature the Great Compassionate One. With this statement, Dragshul Trinley Rinchen confirms that Dorje Shugden’s nature is that of Avalokiteshvara, a fully enlightened being. It is very significant that these three Sakya Trizins all relied on Dorje Shugden and referred to him as an enlightened being. The Sakya Trizin is a position equal in rank to the heads of the other major traditions of Tibetan Buddhism, such as the Gaden Tripa of the Gelug school or the Karmapa of the Karma Kagyu school. 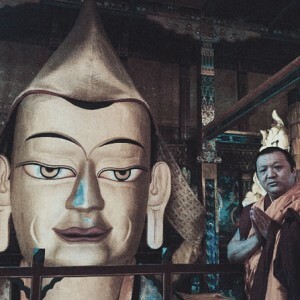 Thus, their teachings and writings form the spiritual foundation of the Sakya tradition and serve as a guide that all Sakya practitioners can rely on, especially in terms of what they should study and what deities they can propitiate. This also applies to Dorje Shugden seeing that not one but THREE Sakya Trizins believed in him, relied on him and encouraged his practice for Sakya practitioners. It follows that Dorje Shugden’s practice is not a minor practice, because the 31st Sakya Trizin felt strongly enough about the benefits of Shugden practice to compose an extensive kangso text to propitiate the deity. A Sakya Trizin would not spend the time, energy and effort to compose such an extensive supplicatory text if the practice had little benefit. Considering the status of the author and the fact that the Sakya Dorje Shugden kangso is still widely used to this day, it further follows that the practice definitely bears results and is effective. His Holiness the 31st Sakya Trizin Kunkhyen Ngawang Kunga Lodro was born in 1729 at Sakya Monastery. He was the descendent of the Khon family bloodline and his father was the reigning 30th Sakya Trizin Ngawang Sonam Rinchen (1705-1741), who had enthroned Dorje Shugden as a Dharma Protector of the Sakya school. His mother was known by the name Sonam Wangmo. 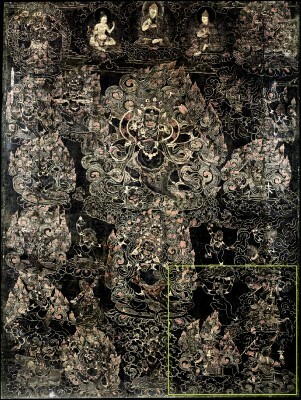 The Three Protectors of Sakya (Gyalpo Sum) can be seen on the bottom right of this thangka. It is widely believed that Sakya Trizin Kunga Lodro was himself the emanation of Dorje Shugden. He is also believed to have been an incarnation of the great Sakya pandit, Buton Rinchen Drub and Shakya Shri, a Kashmiri pandit. Both of these great masters are included in the line of Sakya masters who are part of Dorje Shugden’s lineage. One of Shakya Shri’s predecessors, an Indian master named Jetari, was also Atisha Dipamkara’s guru. As was customary for nobility, his own father bestowed upon the young Kunga Lodro several long life initiations, a Guhyasamaja initiation in the tradition of Arya Nagarjuna and transmissions of Manjushri’s mantras. He was then given the auspicious name Ngawang Kunga Sonam Drakpa Lodro. He then received the traditional education of reading, writing and memorisation of various texts under the guidance of his father. He also received from his father various initiations and transmissions such as those of the Drubta Gyatsa collection of a hundred sadhanas and the Sakya Kabum, which is the collected works of the Sakya tradition. In addition, he received initiations and transmissions from the 33rd Ngor Khenchen Namkha Samdrub (1696-1754). Upon the demise of his father, Kunga Lodro ascended the throne as the 31st Sakya Trizin in 1741. He continued with his studies with particular emphasis on the Lobshe transmission of Lamdre teachings with many great masters including the 30th Ngor Khenchen Jampa Sonam Pelzang (1689-1749) and the 34th Ngor Khenchen Pelden Chokyong (1702-1760). A close-up of ‘Gyalpo Sum’. 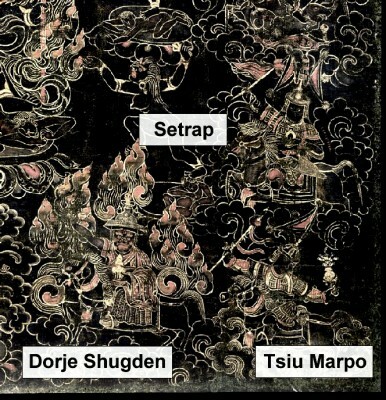 They are Setrap, Tsiu Marpo and Dorje Shugden. When he turned 14, Namkha Samdrub bestowed upon him the lay vows and gave him the name Ngawang Kunga Lodro Tenpai Gyaltsen. He later received novice vows from a lama named Khenchen Wangchuk Puntsok, who also gave him the name “Sangye” which was to be added to his existing name. Along with these masters, he also studied at the feet of Nesar Kunga Lekpai Jungne (1704-1760), the 37th Ngor Khenchen Mingyur Gyeltsen (1717-1751) and Zhalupa Yeshe Drakpa Pelzang. Kunga Lodro became famous for his erudite mastery of the Lobshe Lamdre and he taught this to numerous students. He was invited to teach at a number of monasteries, including Tsedong, Tubten Serdokchen and Ngor Ewam Choden. As a prolific author, his written works were collected in seven volumes. This veritable scholar also composed a 149-page Tibetan-style manuscript detailing the Sakya rituals of Dorje Shugden. In his biography, Kunga Lodro wrote that Nesar Dorje Chang had written several texts on Dorje Shugden. 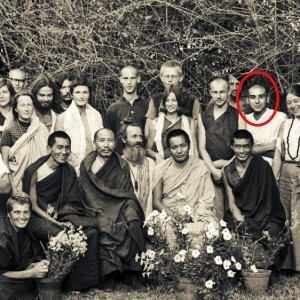 He was also aware of Morchen Kunga Lhundrub’s practice of Dorje Shugden. 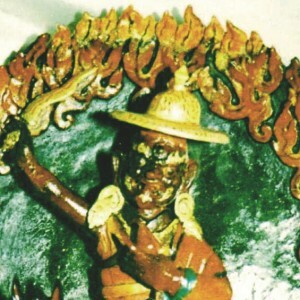 Based on his writings, it appears that Kunga Lodro had combined the five forms of Dorje Shugden with the main figure called Duldzin or Vinayadhara. 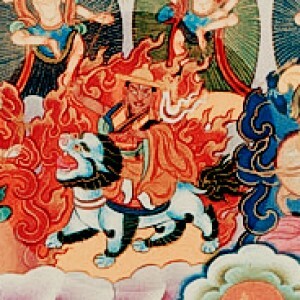 Kunga Lodro also composed a wrathful torma offering to Dorje Shugden called “Swirl of Perfect Sense Offerings”. This ritual was later used by His Holiness Kyabje Pabongka Rinpoche as part of his “Melodious Drum Victorious in All Directions”, possibly the most well-known Dorje Shugden kangso used today. Thus, the source of some modern-day Dorje Shugden practices can be traced to the Sakya lineage. The text written by Kunga Lodro can also be found in the latest edition of the Dorje Shugden bebum, published by His Eminence Lama Gangchen Rinpoche. According to his descendent, the 39th Sakya Trizin Dragshul Trinley Rinchen, it is stated that Kunga Lodro would once again take rebirth as the 37th Sakya Trizin Kunga Nyingpo (1850-1899). Thus, the Sakya throneholders since the time of the 30th Sakya Trizin Sonam Rinchen were Dorje Shugden practitioners especially the 31st Sakya Trizin Kunga Lodro, the 32nd Sakya Trizin Wangdu Nyingpo, the 33rd Sakya Trizin Pema Dudul Wangchuk, the 35th Sakya Trizin Tashi Rinchen, the 37th Sakya Trizin Kunga Nyingpo and and the 39th Sakya Trizin Dragshul Trinley Rinchen. Thank you for this informative piece which highlights the role that Dorje Shugden has played in the Sakya tradition. The gelugpa tradition was founded by Lama Tsongkhapa based on the best elements of the other Tibetan Buddhist traditions and it is therefore unsurprising that Dorje Shugden’s practice also contains elements of these other traditions too. For instance, the Dorje Shugden enthronement prayer composed by the great Sakyapa master Kunkhyen Ngawang Kunga Lodroe is a more concise and shorter alternative to the one composed by Kyabje Pabongka Rinpoche, and as equally effective. A point of note for me is how Dorje Shugden took rebirth as not less than two of the Sakya Trizins, which reminds me of the close link that this protector has with the Sakya lineage, not only as one of their three King Protectors but also through his previous lives as Sakya Pandita Kunga Gyaltsen and Tsarchen Losal Gyatso, amongst others. It suffices to say that Dorje Shugden’s close connection with the Sakya line over the ages continues today with the Dorje Shugden prayers that we recite at least once a month, if not every day. Thank you for this article that has a lot of details on Dorje Shugden in Sakya tradition. From here, I can see that Dorje Shugden is not just in Gelug tradition. It is also widely practiced in the Sakya tradition. Not just Shakya throne holders practiced Dorje Shugden, they also composed text and prayers on Dorje Shugden besides widely spreading Dorje Shugden. Some of them were also the emanations of Dorje Shugden. Therefore, Dorje Shugden are not just practiced by the Gelugpa, it was practiced way before Gelug in the Sakya tradition. Thank you for this informative write up. It is marvelous to read that the supreme Dharmapala, Dorje Shugden is none sectarian as He had been propitiated by Sakya lineage since 18th century, from the time of the 30th Sakya Trizin Sonam Rinchen (1705 – 1741), long before He was venerated as a Dharmapala by the Gelug lineage. The practice was passed down to the 31st Sakya Trizin Kunga Lodro (1729 – 1783), who was believed to be the emanation of Dorje Shugden himself. During his lifetime, Kunga Lodro composed a Dorje Shugden kangsol (prayer) to invoke the blessings of Dorje Shugden. The kangsol is still being widely used today. If the Sakya Trizin can compose a kangsol of Dorje Shugden, it goes to prove that someone as caliber as the Sakya Trizin felt strongly and confident enough about Dorje Shugden’s ability to assist sentient beings. We have to bear in mind that the Sakya Trizins are not just any ordinary monk but are actually spiritual heads and throne-holders of the Sakya tradition which means they are of same spiritual ranking as the Dalai Lama. So, we can see that the Sakyas propitiated Dorje Shugden from the time of the 30th Sakya Trizin Sonam Rinchen (1705 – 1741) at which time Dorje Shugden was one of three protectors known as the “Three Kings” (Gyalpo Sum). 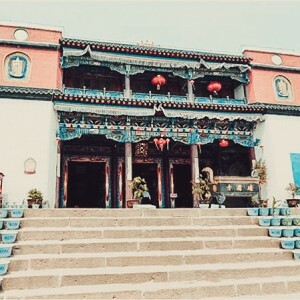 The practice was then passed to his son the 31st Sakya Trizin Kunga Lodro (1729 – 1783), who was believed to be an emanation of Dorje Shugden himself, and composed a kangso (fulfilment ritual) to invoke upon the blessings of Dorje Shugden. He also propitiated Dorje Shugden as a fully enlightened being and composed a praise to him. This practice of Dorje Shugden was passed hereon from one Sakya Trizin to the next. So, this does say that Dorje Shugden practice is not peculiar to the Gelugs or that it was first propitiated by the Gelugs. So, Dorje Shugden must be an extremely beneficial Dharma Protector as He is propitiated as an enlightened Protector by at least 2 schools of Tibetan Buddhism for hundreds of years. Thank you for sharing this wonderful piece of information regarding Gyalchen Dorje Shugden. I like and support this website very much as it provides clear, precise and factual information based on true evidence of past history, authentic lineage and practices as well as a great source of inspiration of those lineage lamas. Sadhu sadhu sadhu! Despite of all those criticisms and condemnations, where others have much doubts, anger, frustration, resentment, agitations and confusions regarding Dorje Shugden’s practice, even to the point of abandoning or forsaking the practice and their root guru, humans are always humans. We break vows, break our precepts, sadly to say, we do not stand by the rules, we are the “rules”, we want to hear things that we like hear and enjoy doing things our own way. Rules are self-created and are meant to be broken, this is often what we say, but without rules, there will be no laws governing and shaping up our ABC (attitude, behavior and character). Our mind is also like a ABC (Ais Batu Campur) and “ROJAK” and we behave and act like one all the time without fail. Our hobby is to mix and match with what we think and believe is true and correct. On one hand, we can have so called “deep and unwavering faith” in the protector practice, on the other hand can also suddenly and totally lose faith, confidence and conviction towards the practice when influences creeps in and destroys our faith. When situation becomes even more intense and adverse, that’s where we are often challenged and tested on our spiritual path especially testing on our faith to see whether or not we could actually uphold and keep our practice and commitments purely and sincerely, often than not, many drifts away and not even making a U-turn, this is so sad and disheartening seeing most of my seniors leaving one after another when they were the pioneers who regularly rely and practices Dorje Shugden’s prayer and who motivate and inspire others through showing good examples themselves. Where has all these integrity and consistency gone to? I considered myself as being the laziest and a slow learner, shows little effort, not as regular as my seniors but consistency is the key. When I experienced this sort of situation that causes disharmony and split within the sangha, I felt sad, really sad, humans are always humans, once their mind is fixed to their OWN opinions and being influenced, that’s it, they believe it so deeply like having another deep faith. Can u see how delusions kicks in unknowingly and as a result, we became a victim again under the influence of our own and other’s delusions. The practice of Dorje Shugden has given me, my family and friends the uncommon protection and great blessings where I experienced many couple of incidents previously. This is very individual and personal, best wishes to those whom I respect most even now and then and may I wish them well and happy in their future endeavour. To a certain extent, some even requested me to forego and abandon DS practice completely because DS is this la and that la, they were also the ones who formerly inspire me by setting good examples to continue DS practice without losing faith, on what basis can I still trust these so called seniors? Their integrity and consistency has lost; perhaps they might be practising other traditions and benefiting others right now. I may be lazy and slow but I have good faith for what I have been upholding all these time. All the best to my seniors who taught and guided me all these while, namaste! 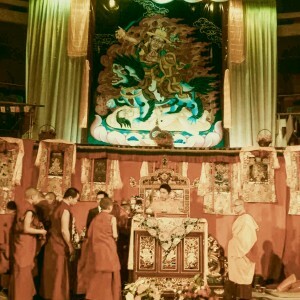 Its wonderful to know that one of the ritual adopted by the great Kyabje Pabongka Rinpoche came from the 31st Sakya Trizin Kunga Loro which shows that Dorje Shugden was also practiced by other schools much earlier. But equally baffling for me is why does the current Sakya Trizin keep quiet about it? If we understand the basics of Tibetan Buddhism where Lineage is so essential, then it can only makes sense that the current Sakya Trizin should also support the Dorje Shugden practice. Technically from my most basic knowledge of Vajrayana, if one were to discount any of the practice by any of the Sakya Trizin, then immediately the whole Lineage of the Sakya Trizin becomes questionable?? God/Buddha forbid we walk down that path!! Rather I choose to believe all the Sakya Trizins are pure enlightened beings, making whatever they have taught before to be of pure dharma and authentic. Thus I hope eventually many of those from the Sakya Trizin school will also be one with the Gelugpas who are practicing Dorje Shugden, for how can the teachings of the Buddha bring downfall to mankind? We only bring our own downfall by the ego traps and illusions we create for ourselves and bite the hand of the Buddha who tries to lift us out from this deep illusion. Thank you for this informative articles on Dorje Shugden practise in Sakya lineage. Dorje Shugden is also enthroned as the Protector is Sakya tradition. Not only that Sakya throne holders also wrote praises and kangso to Dorje Shugden. It is no doubt that Dorje Shugden is an enlightened Dharma Protector and the practise is widespread in other lineages too besides Gelug. It is very important to have articles as such to give explanation and awareness on the origins, who, how and why Dorje Shugden is so beneficial to us. I wish more people will learn and know more about Dorje Shugden. May the ban on Shugden be lifted very soon so more people can practise and be benefited. This article shows us that Dorje Shugden practice is not just exclusive to Gelugpas only but also practiced by other schools in the Sakya tradition. Therefore, claims of Dorje Shugden as a evil spirit is not true when other schools also validates the authenticity of the practice and first enthroned in the Sakya tradition as a Dharma Protector. Also there were 7 Sakya Throneholders who were Dorje Shugden Practitioners shows that the practice is beneficial and effective. 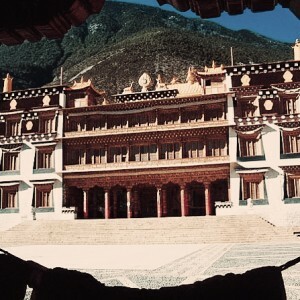 When Tulku Drakpa Gyeltsen arised as the Protector Dorje Shugden, he traveled to Tashi Lhunpo but was not allowed to enter because it was not the right time for him to go there. So he went to Sakya Monastery. There, he was accepted and enthroned as a protector. It is not surprising at all, one of Dorje Shugden previous incarnation was Mahasidha Birwapa whose teaching is the foundation of the Sakya lineage. Great Sakya master Sakya Pandita was also one of the incarnation of Dorje Shugden. Not only Gelug masters recognised Dorje Shugden as an enlightened protector, Sakya lineage also propitiate him. Therefore, Dorje Shugden is not sectarian at all. The story about His Holiness the 31st Sakya Trizin Kunkhyen Ngawang Kunga Lodro is very informative. 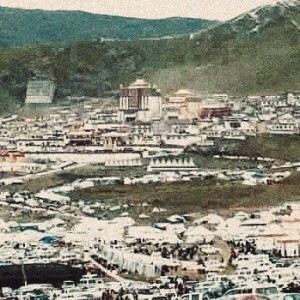 The 31st Sakya Trizin was born in 1729 at Sakya Monastery. The Sakya Trizin position is the descendent within the Khon family bloodline. 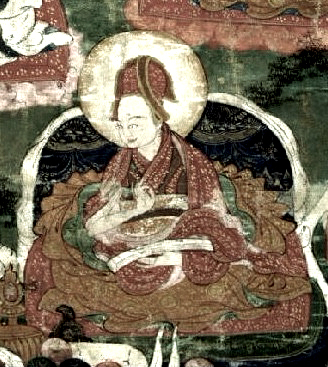 His father, the 30th Sakya Trizin (1705 – 1741) was the first Sakya Trizin who had enthroned Dorje Shugden as a Dharma Protector of the Sakya school. It is also widely believed that Sakya Trizin Kunga Lodro was himself the emanation of Dorje Shugden, an incarnation of Buton Rinchen Drub (the great Sakya pandit), and Shakya Shri (Kashmiri pandit). The 31st Sakya Trizin received many teachings from his father, Nesar Kunga Lekpai Jungne (1704-1760), the 37th Ngor Khenchen Mingyur Gyeltsen (1717-1751) and Zhalupa Yeshe Drakpa Pelzang. The 31st Sakya Trizin had composed a wrathful torma offering to Dorje Shugden called “Swirl of Perfect Sense Offerings” which was later used by His Holiness Kyabje Pabongka Rinpoche as part of his “Melodious Drum Victorious in All Directions”, a widely used Dorje Shugden kangso today. 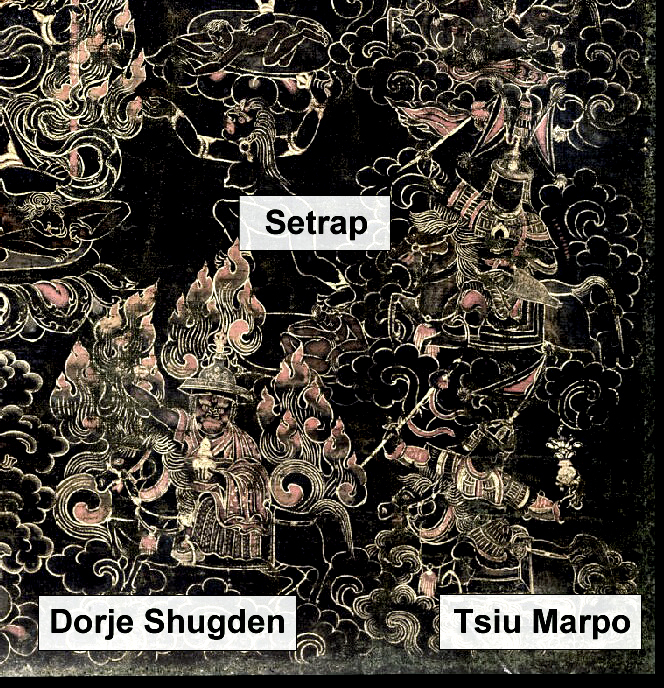 In another words, part of modern-day Dorje Shugden practices can be traced to the Sakya lineage. Thank you very much for this article. Sakya school of Tibetan Buddhism has practiced Dorje Shugden before the Gelugpa tradition. In His Holiness Kyabje Trijang Rinpoche’s work “Music Delighting the Ocean of Protectors” stated the Sakya tradition rely on Dorje Shugden. It started from the 30th Sakya Trizin Sonam Rinchen who enthroned Dorje Shugden as Dharma Protector wih Setrap and Tsiu Marpo. In Sakya tradition, the throne holder Sakya Trizin was alternating between two main houses, Dolma Phodrang and Phuntsok Phodrang. The practices are transmitted from father to the eldest son. The practice of Dorje Shugden too has been continuing across generations within the Sakya lineage. 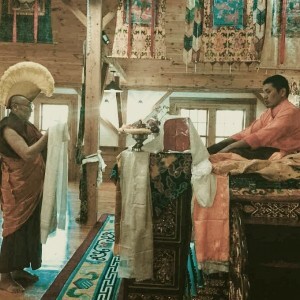 The 30th Sakya Trizin Sonam Richen enthroned Dorje Shugden as dharma protector. He passed the Dorje Shugden practice to the 31st Sakya Trinzin Kunga Lodro who is his son and also emanation of Dorje Shugden himself. The 31st Sakya Trizin had composed a Dorje Shugden kangso and a praise where these prayers are still widely used today. He also composed a wrathful torma offering to Dorje Shugden called “Swirl of Perfect Sense Offerings” and later on this ritual was used by His Holiness Kyabje Pabongka Rinpoche as part of his “Melodious Drum Victorious in All Directions”. Some written text of the 31st Trizin Sakya also can be found in the latest edition of Dorje Shugden bebum published by His Eminence Lama Gangchen Rinpoche. The Dorje Shugden practice in Sakya tradition continued until these days.